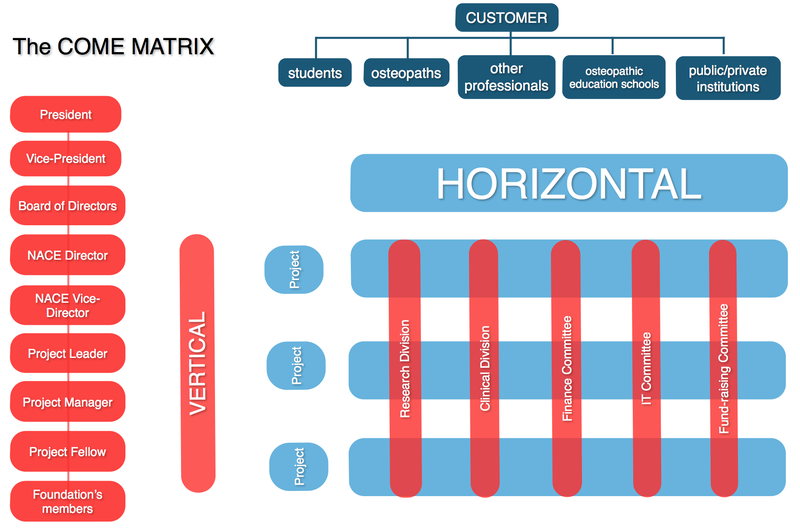 The foundation has a vertical and horizontal matrix. 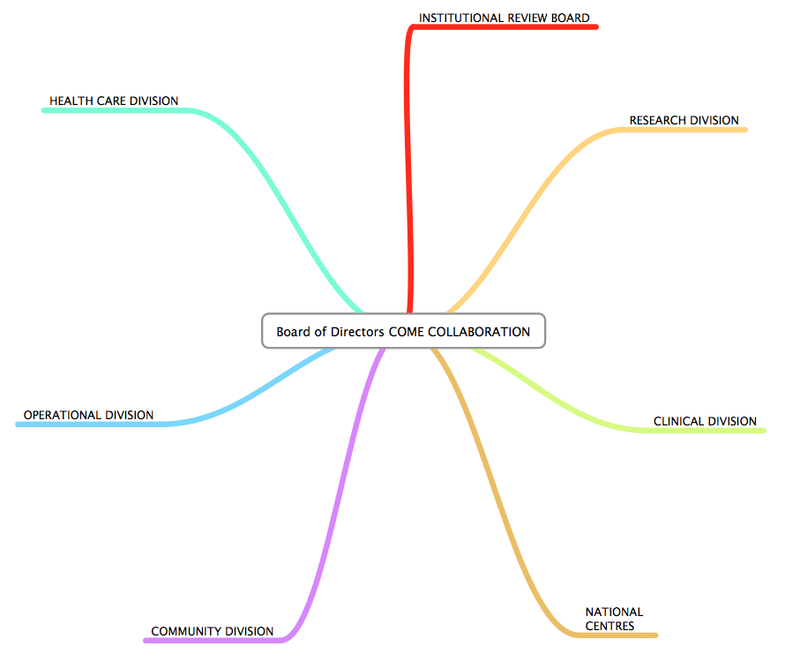 The vertical structure is based on the board of directors and 7 divisions, the horizontal is set on projects, which are the core of the foundation. The vertical matrix of the foundation is composed by a board of directors, 7 divisions and over 30 departments. The horizontal matrix of the foundation is project-based. Each task, approved by the board of directors, can benefit of high-quality competences from the appropriate division member, to be involved in the project, to achieve pre-established outcomes.